Natural stone has been used as a building material for centuries and in the home it can be used to create timeless, classic looks. Although traditionally associated with bathrooms and kitchens due to its hardwearing properties, recent design innovations and technological advancements have seen applications evolve to include other areas of the home. Natural stone is often considered a “luxury” material; however the benefits of stone products go far beyond aesthetics. Stone is durable, sustainable and sound-proof making it suitable for a wide range of applications within any budget. Advances in underfloor heating systems have made the method a popular choice for residential applications. As a natural conductor of heat stone works well with underfloor heating to create a homely atmosphere. As a result stone flooring in less traditional areas of the home, such as the living room or bedroom, has become an attractive option. If an interior space opens out onto a garden there is the option to create an infinity look by using the same stone tiles inside and out. This design option creates a feeling of space by drawing the eye through the interior space to the outdoors beyond. 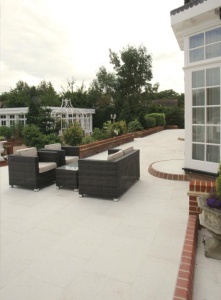 As a hardwearing and durable material, natural stone is suitable for both interior and exterior applications making it possible to use the same flooring throughout to create a seamless, spacious finish. Choosing a darker stone will make an interior space stand out from the crowd. 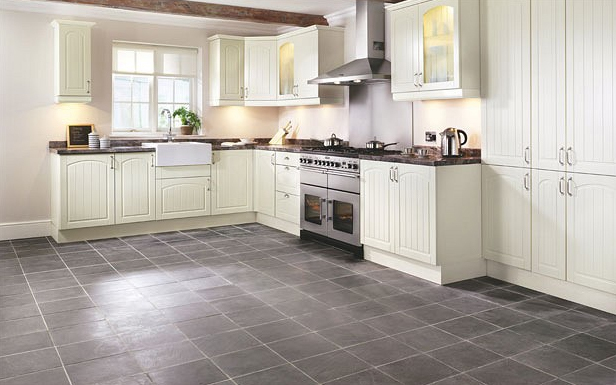 Slate is a popular choice for kitchen floors as the soft metallic shades look great in any age of property. With colours ranging from cool greys and blacks to greens and warmer brown and red shades slate is a very versatile stone. Extremely hardwearing because of its darker colour palette the material can be less demanding in terms of maintenance. Natural stone is becoming a popular choice for internal walls as well as floors. Although natural stone does not act as a good insulating material it is able to store heat and release it slowly over a period of time. 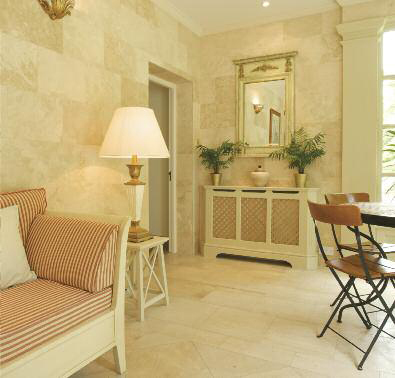 When used correctly a wall made out of natural stone can help to reduce the amount of energy needed to heat a home. Stone absorbs heat when temperatures are warm and then slowly releases it when the room cools. This has the benefit of keeping a home warmer in cold weather and cool when temperatures are higher. The beauty of natural stone is in its uniqueness. Each and every stone is different, with its own quirks and imperfections making each creation truly one of kind. Written by Lauren Easton, Editorial Account Manager for Barbour Product Search. Visit www.barbourproductsearch.info or follow @BarbourNews.